Traveling is one of the greatest ways to spend one’s free time. 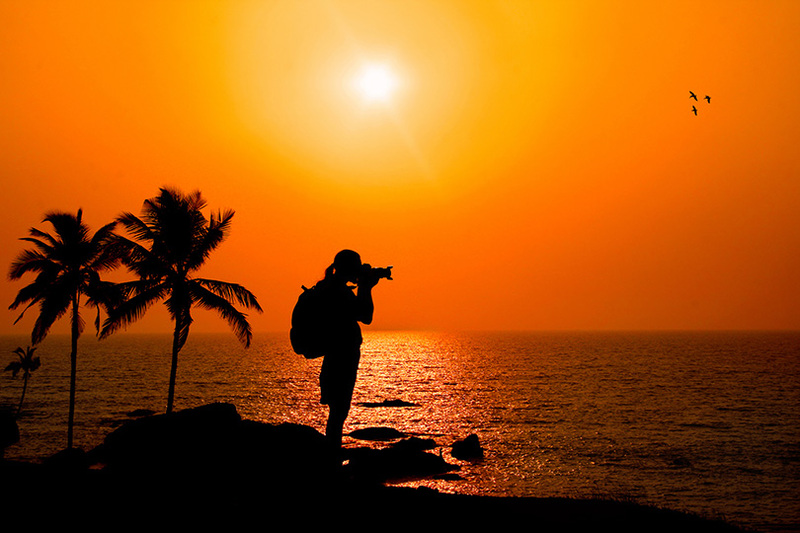 Although many people travel, few actually see it as their hobby. They might take vacations when they can but in general their trips are restricted by other obligations, such as a full-time job or family demands. People who choose to travel as their hobby make traveling their priority and are constantly scheming and planning for their next trip. If you have taken some trips and find that you thoroughly enjoy visiting new areas of the world, then you might be ready to make travel your hobby. Chances are you’ve been on vacation before, even if you didn’t go very far. Most people have taken at least one trip in their lifetime, even if it was just to a nearby city. But if you are seriously considering becoming a regular traveler, you need to do more than merely take a trip every now and then. You have to start planning, saving, and orienting your life to enable you to travel. Travel can not only be expensive, but it is also a hugely time-consuming hobby compared to most. If you aren’t passionate about traveling, you’re not likely to make it a priority and excuses, such as money or your job will get in the way. But hobbyist travelers know that there are ways around these common constraints. Some people work out arrangements with their offices that allow them to work remotely while they travel, so they don’t have to use up so much vacation time. Others set aside money for travel that might usually be spent on something else, such as a car. When you make travel a priority, you will find ways to get around these obstacles. The world is your oyster but it’s a big one. If you’re overwhelmed at the thought of being able to go anywhere, you can try planning your trips around a central theme. Say for instance you speak Spanish and you would love the opportunity to practice in a country where Spanish is the native language. You can plan trips to Spanish-speaking countries, such as Spain, Argentina, or Chile. You will find that travel dovetails nicely with other interests that you may already have, such as wine or gastronomy. Exploring something that interests you is even more exciting in a foreign country. As a traveler, you will need certain gear. One thing that is always required is luggage. You need to choose what kind of luggage suits your needs. If you’re into rugged travel, backpacking gear such as the Kelty Fleet 55 can provide you with room for everything from camping gear to clothes. If you’re more of the hotel type, you will probably want to go with a standard suitcase with rolling wheels for easy carrying, such as the Samsonite Sahora Brights Spinner. Choose your gear wisely according to your personal needs so that you get the most use out of it. When it comes to traveling, the benefits are virtually endless. Firstly, exposing yourself to other cultures is a life-changing experience. You get to see how other people live and drop in on lifestyles that might be completely different from your own. Immersing yourself in the food, language, and lifestyle of a new country can help you to gain tolerance and new insights. Very few people can say that traveling doesn’t change them personally in some way. If you enjoy beauty, almost every country has something to offer. There are architectural wonders, such as the pyramids or the Eiffel Tower. Admiring geographical wonders is also a large part of traveling, and virtually every continent has something unique to offer in the respect, from mountains to deserts to magnificent waterways. Visiting new places can help you to truly admire the beauty of the world. As a traveler you also get to meet new people. When you’re touring a new city, you never know who you are going to meet or where they are from. You can meet other travelers and share experiences with them or learn about local culture from people native to the area.